You no longer have to be a hacker to start a company. You can win through design rather than technology. This past week Fast Co. released their list of the World’s 50 Most Innovative Companies. Reading through the list of company profiles has given us renewed energy about the ways design shapes and positively influences a company. Beyond talented teams and great design, products have to solve problems. Many of these companies evolved from problems that the founders experienced themselves. Chesky was visiting Gebbia in San Francisco and couldn’t find an available hotel room. 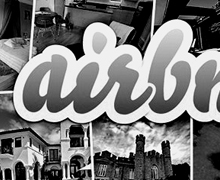 He pulled out an air mattress and the idea for Airbnb was born. Jack Dorsey, the co-founder of Twitter took on the challenge of providing a “real-time grid of what real people are doing every minute all over the world.” We’re now a better connected world because of it. As the CEO and founder of Square, the minimally designed card reader that allows anyone to accept credit or debit card payments, Dorsey is now changing the way we do business. We recommend reading through the list to learn more about these companies and the problems they solve that make our lives better. It will inspire you to make something meaningful.